Amazing! He's running on AIR--high above the sidewalk! 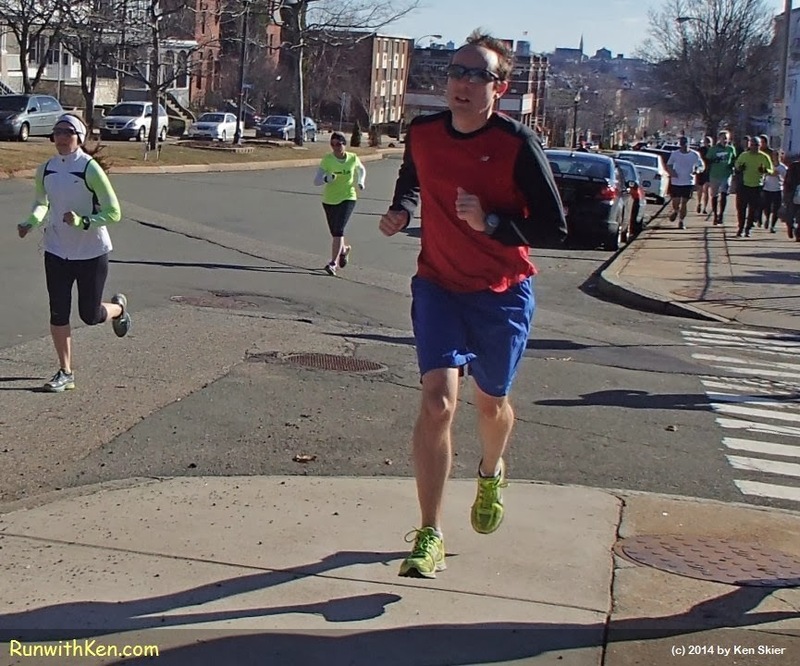 At the SRR Winter Challenge in Somerville, MA. of that fair city, when I sensed something very...odd. coming up quickly from behind. But I couldn't hear a sound! No footfalls. No feet slapping onto the street. Just that shadow sliding effortlessly along. That's why the runner's feet made no sound. He was running on AIR! so I snapped this photo as I ran. (He was just behind me when I took this photo. Yes, I was running as I took this photo. Didn't stop or slow my pace. After all--I was in a race!